Cars can be one of the most expensive purchases you make in your lifetime, and as such, you depend on them lasting you a long time. With an economy that makes everyone’s wallets a little lighter, it is important that you are able to squeeze every dollar you can out of major purchases, and your car is a huge example of that. You depend on it to take you back and forth to work, to school, to get groceries and see family and through all of these things; you need it to work perfectly. As the time comes that your car becomes harder and harder to keep running and the upkeep gets more and more expensive, it begins to be a much easier option to junk your car and get a new one. This could be difficult however after years of use if you do not still have the proper documentation or if the car is falling into disrepair and may not even move. This is where New York City Auto Salvage and Glass can step in and help you out. We pay top dollar for your used car and can even come to you and tow it away, making your life easier and giving you a little bit of cash. Usually there are a handful of documents in order to sell a car, but when simply junking a car none of that is necessary. While it may seem too good to be true, it is in fact possible to junk your car with nothing more than your driver’s license to prove your identity. If you are in Queens, New York and you want to get rid of your car, a simple phone call can put cash in your pocket and get an eyesore away from your home. If you want to get rid of your car the steps could not be simpler. Call us and provide a few simple details about the car you wish to junk, like the make, model and manufacturer. During this conversation, we will make you an offer. After you accept, we will set up a time to pick up your car and you get paid! 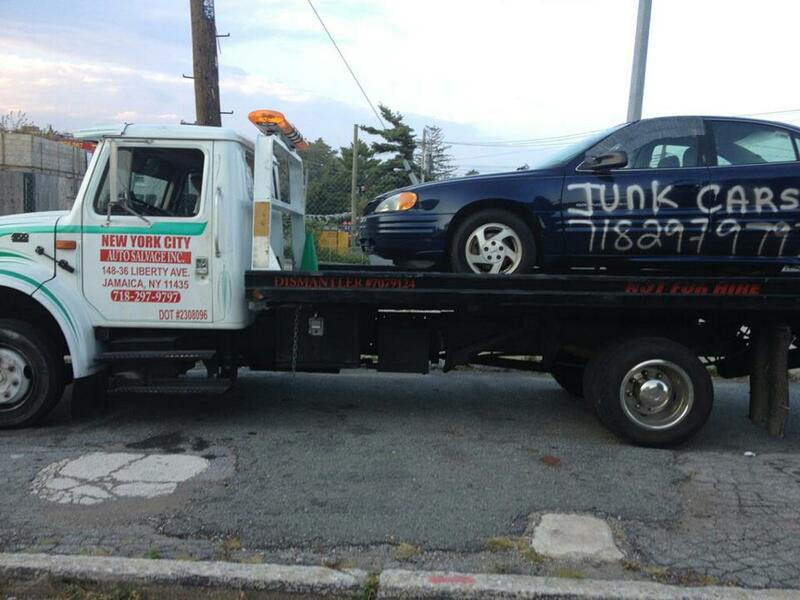 Don’t hesitate to give New York City Auto Salvage and Glass a call at 718-297-9797 to junk your car in Queens, New York. Don’t forget to like us on Facebook and follow us on Twitter for more information.